From The American Spectator. April 29, 2007. Generally speaking, the Motion Picture Academy’s voting for Best Foreign Language Film is as subject to the same considerations of political correctness as the rest of the Oscars. And that’s plenty subject, as was shown by this year’s Documentary award to the awful Al Gore propaganda flick, An Inconvenient Truth. But, unlike the Best Picture, the Best Foreign Film is quite often — well, if not the best at least very good. Three years ago it was the Quebecois director Denys Arcand’s marvelous Barbarian Invasions, and now, once again, the Academy has hit a winner, The Lives of Others (Das Leben der Anderen) by the splendidly named German, Florian Henckel von Donnersmarck. Curiously, it also resembles The Barbarian Invasions (available on DVD) in casting a skeptical eye on the mythologies of the left. Arguably, Les Invasions Barbares had the more difficult task — that of taking a hard-headed look at the sentimentalism of the academic left — and from within it. Rare indeed is such a degree of detachment and self-criticism in the cozy, basically narcissistic view of the world of the Western intellectual. But The Lives of Others, set in East Germany in 1984, has what is to me the superior cinematic virtue of a satisfyingly worked-out plot. 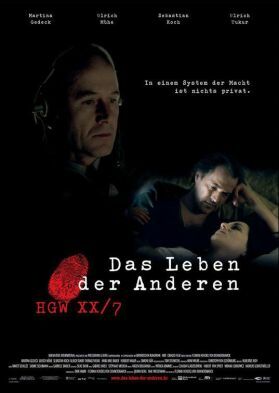 Gerd Wiesler (Ulrich Mühe), a captain in the Stasi, the East German secret police, is assigned to mount a spying operation against a hitherto-trusted writer named Georg Dreyman (Sebastian Koch) whom a government minister named Hempf (Thomas Thieme) suspects of disloyalty to the régime. As Wiesler has already voiced his own suspicions, based on nothing but the policeman’s natural suspicion of the intellectual, he is flattered to get the job. Wiesler, an expert in coercive interrogation techniques, is a true believer in socialism and the East German state without quite realizing how rare a quality belief has become even among his colleagues in the secret police — even among government ministers — let alone the general population. 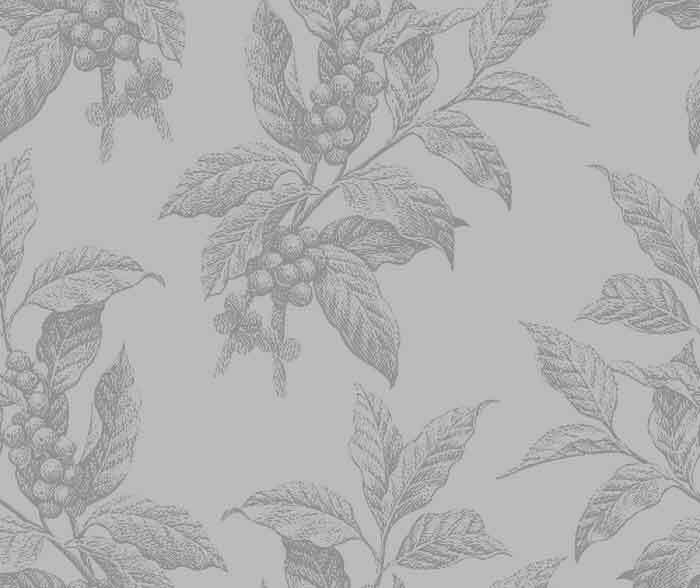 Gradually, he comes to understand that Hempf is Dreyman’s rival for the affections of the beautiful actress, Christa-Maria Sieland (Martina Gedeck), and is simply looking for some excuse to get Dreyman out of the way. "Is this what you joined [the Stasi] for?" he asks his friend and confidant, Col. Anton Grubitz (Ulrich Tukur), who is also a professor. The latter shrugs: "What is the Party but its members?" he asks. So taken-for-granted is the corruption in East Germany that its principal beneficiaries don’t even see it as corruption anymore. As the light dawns for Wiesler, he grows more and more sympathetic to the subjects of his round-the-clock surveillance — and more and more attracted, like everybody else, to Christa-Maria. Can it be possible that the most hard-nosed and incorruptible of Stasi agents will grow a heart and defy his superiors, risking his own career and possibly his life, for the sake of a subversive writer and an actress? This is the big, human question on which the film depends, and what gives it its real emotional power, but the cat-and-mouse game of the ordinary spy-thriller — between Dreyman and his friends on the one hand, Hempf, Grubitz and the police state on the other and Wiesler playing a double game in the middle — constantly engages the mind as well. It was in its failure to combine the heart with the head that I thought Billy Ray’s otherwise powerful Breach fell down a bit. The true story of the capture of the notorious FBI mole, Robert Hanssen (Chris Cooper), by the trainee agent Eric O’Neill (Ryan Phillippe) in 2001 has an excellent plot designed, as the best of them always will be, to produce heart-pounding suspense even when we know in advance how it all comes out. And yet Mr Ray’s story is, on the human level, emotionally barren. Not only does he deliberately decline to speculate on the reasons for Hanssen’s treachery — a decision that is at least defensible for keeping the moral enormity of what he has done clearly before our eyes — but he also omits to supply any feelings that might have helped to humanize the traitor’s pursuers. For Eric O’Neill, catching Hanssen is just the job he’s been given to do if he wants to make agent. As far as we can tell, for him the only emotions that are engaged by the job are frustration and irritation about its effects on his domestic life. In the end, he even declines the promotion to agent lest his wife (Caroline Dhavernas) should have to get used to the unsocial hours. Odd, isn’t it, that neither Mr Ray nor his co-writers, Adam Mazer and William Rotko, should have seen what a dreadful anticlimax this is? I know it’s a true story and that the real Eric O’Neill really did leave the FBI to practice law and enjoy a quiet life, but the film could have simply ended with Hanssen’s capture, or the moment afterwards when, as the latter is being taken away, he asks O’Neill to pray for him. Why doesn’t it? I wonder if there is not also a culture of corruption in Hollywood that is not so different as we might like to think from that which once prevailed between the Oder and the Elbe. I wonder if the currents of patriotism now run so feebly in the veins of our culture-leaders, if they have not altogether dried up, that they don’t even know they are missing? So accustomed have we all become to the Le Carré brand of essentially stateless, world-weary and morally ambiguous spy that we have forgotten why he spies — or counter-spies — in the first place. Needless to say, this has not always been the case in Hollywood. 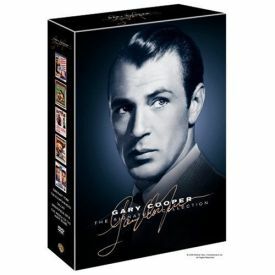 I have been reviewing another in the Warner Home Video series that I mentioned in this space last month, this one the boxed set of Gary Cooper films. Along with the two movies that will be the big attractions for most people, Sergeant York and The Fountainhead, are some fairly obscure outings by one of Tinseltown’s great leading men. Dallas and The Wreck of the Mary Deare will repay viewing, but the most notable is perhaps Springfield Rifle, which sets the origins of American counter-espionage in the context of the Civil War and the great American romance with superior fire-power. To be sure, that part of it is dragged in by the ears. The movie takes its title from the breach-loading weapon that would soon make the Minié-ball obsolete and revolutionize warfare. "I feel like a whole army, sir!" says one of Gary’s guys, thus unwittingly giving the U.S. Army of the later 20th century one of the most fatuous advertising slogans ever devised. But this fight between Gary’s Union soldiers, armed with the eponymous Springfield rifles, and some Confederate irregulars armed with the old muzzle loaders at first seems to have little or nothing to do with the main subject of the film, which is the relatively new ideas of espionage and counter-espionage. The latter word is said not even to be in the dictionary, so the military brass doesn’t recognize that there is such a thing. "They think of spying as beneath the dignity and honor of an army man," we are told, as if this were self-evident nonsense. Also setting the fashion for many a war movie to come, Cooper’s character, Major Kearney, has to defy the military establishment, to catch the spy who is tipping off the rebels in the Colorado territory as to the routes by which horses for the Union armies back east are being herded by lightly manned Federal escorts. Interestingly, in order to do this Major Kearney has to deceive all but one or two of his fellow officers and deliberately submit himself to the humiliation of being court-martialed for cowardice in the face of the enemy, then drummed out of the army and ejected from the post with a yellow stripe painted down his back. There could have been no greater dishonor for a soldier of the period of the film’s setting, but Major Kearney is really a man of the film’s own period, 1952, and he takes it all in his stride, apparently never suffering so much as a pang for the loss of honor. The idea, I think, is that he is so self-possessed, so sure of his own virtues that he really doesn’t care what other people think of him. Being dishonored may thus have been seen as another and a higher kind of honor in the eyes of the immediate post-war generation. If so, it could explain a lot about how the spy and maybe even the mole could go on to become the hero that he did subsequently. Could it be that Robert Hanssen courted dishonor as he did because he wanted to demonstrate, if only to himself, that he didn’t need anyone else’s approval or support — that he too could be an army of one? We may never know the answer, but I find Gerd Wiesler’s discovery in The Lives of Others of an unexpected connection with his fellow man more moving and more meaningful to our time than either Hanssen’s or Gary Cooper’s of what has by now become the mere affectation of autonomy.